Martin Guigui is Grammy nominated music Producer and award winning filmmaker. Guigui has produced over 30 music albums, has directed 8 Films, written 16 screenplays, Executive Produced 8 movies. Born in Buenos Aires Argentina, son of Famed Symphony Orchestra Conductor Maestro Efrain Guigui, Martin had an eclectic upbringing in New York, Puerto Rico and Vermont, mentored by his Father, Martin began playing Violin at age four, his concert debut with the Puerto Rico Symphony at age 12, performing Vivaldi’s Violin Concerto in D Major. 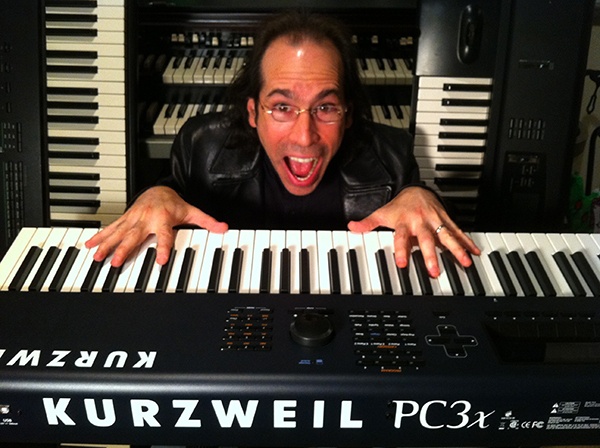 An accomplished Pianist and Hammond B-3 organ player, among others Guigui has worked with James Cotton, Billy Gibbons, Daryl Hall, Sheila E, John Popper, Jose Feliciano, Smokey Robinson, Billy Ray Cyrus, Eric Johnson, Joan Osborne, Bo Didley, Grace Potter, Phish, Don McClean, Rita Coolidge, Jake Owen, Kris Allen, Laverne Baker, Randy Scruggs, James Montgomery, Bill Sims, Eddie Money, Talking Heads, Mathew Sweet, Steve Forbert, NRBQ and produced among others Bret Michaels, Smokey Robinson, The Slip, Jim Infintino, Alysha Brillinger, Jamie Lee Thurston, Gordon Stone, Kip Meaker and Chad Hollister. Guigui, a Grammy voting member, a skilled composer in Independent Films & children’s TV programming. Guigui has received numerous songwriting Billboard Awards, ASCAP Performance Awards, Caesar Award, Estabrook Award, Best Director at the USA Film Festival for “Swing”, which also won “Best Music” at Park City Music Film Festival, twice honored by City Of Los Angeles for artistic contributions to music education. Martin is co-founder and President of Sunset Pictures and Old School Records, performs charity concerts regularly for HonorVet, Prevention Of Child Abuse, Mr. Holland’s Opus Foundation, Rock For Diabetes, Cancer research. Guigui began his film career making shorts and documentary films, was an editor/sound engineer at ABC News, Produced music driven documentaries for PBS (Dizzy Gillespie, Lionel Hampton, Sun Ra). Guigui has enjoyed acting stints, starring in the indie cult classic “Time Chasers.” Guigui wrote his first feature film “My X-Girlfriend’s Wedding” directed and starred in the quirky comedy with Dom DeLuise and Debbie Gibson. Tooted by Rolling Stone as the “Spinal Tap of wedding receptions” the culty favorite won critical acclaim “Best Comedy” and “Audience Favorite” awards at festivals worldwide. Guigui went on to direct “Changing Hearts” (Faye Dunaway, Tom Skerritt, Lauren Holly, Ian Sommerhalder) critical acclaim Golden Globe consideration in three categories including “Best Song”. Martin directed the award winning “Swing”, National Lampoon’s “Cattle Call”, indie cult classic “Benny Bliss & The Disciples Of Greatness”, Dennis Quiad’s psychological thriller “Beneath The Darkness”. Most recently Guigui wrote and Directed “The Bronx Bull” starring Joe Mantegna, Paul Sorvino, Penelope Ann Miller, William Forsythe, Tom Sizemore, Natasha Henstridge. Guigui is a member of the DGA, WGA, SAG, NARAS, ASCAP. Martin was a standout high school basketball player, plays in the “Entertainment League” with the likes of Chris Brown, Adam Sandler, Snoop Dog, Ice Cube, Sugar Shane Mosley, Will Ferrell, Jamie Foxx, Brian McNight, Justin Timberlake and many other members of the entertainment industry who love to play the game.